Despite being overstuffed and overproduced, Emma Watson is by far the best special effect in Bill Condon’s live action Beauty & the Beast (B-) as the luminous leading lady who enlivens the fairy tale proceedings with enchanting radiance. Attempts to color outside the lines of the 1991 animated musical’s story and to lovingly re-create iconic classic sequences are both a mixed bag: the opulent “I want” song called “Belle” is simply smashing, awash with propulsive joy and resplendent color, but by the time an awkwardly unappetizing “Be Our Guest” is served up by curiously stilted anthropomorphic antiques, it’s more of a test of endurance than the whimsical showstopper that played out as a cartoon. A star-studded cast is squandered; set pieces seem limited to one village, one castle and one CGI forest; and the awkwardness of an inter-species romance feels a little strange when everyone isn’t rendered in line art. Luke Evans is quite good as Gaston, and there’s some new back story that provides intrigue for those concerned this will simply be a shot for shot remake. It’s good source material, so the original Alan Menken/Howard Ashman tunes are a delight (the new Alan Menken/Tim Rice song snippets aren’t as good). See it mainly for Watson’s game take on a Disney heroine (better still, see this actress in Perks of Being a Wallflower). Otherwise, there’s not much here that wasn’t there before. Despite clear technical craft in creating simulated forests and talking (sometimes singing) animals, Jon Favreau’s The Jungle Book (C) is dramatically inert. 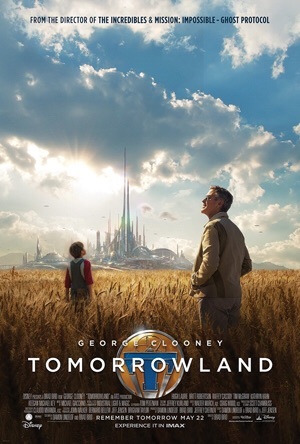 Swinging wildly in tone and staking the weight of its storyline on a pint-sized protagonist of limited range, the film falls flat in moving emotions while it swirls episodically through remake facsimiles of Disney’s own animated feature. It squanders most of its visual effects wizardry in the beastly congregations of the first reel only to be followed by a long wasteland of coasting on mildly amusing Bill Murray voice-over work as a lazy bear. I’m sure there will be a man cub fan club for the action of this Kipling claptrap, but it fell staggeringly short of surprises and wonder in my book. 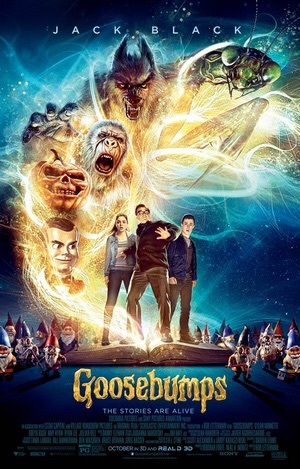 Rob Letterman’s Goosebumps (D) joins this summer’s Pixels in a series of kids’ films that value effects over imagination. Jack Black plays R.L. Stine, reclusive author of the titular young adult book series. With a vaguely academic accent and face frozen on “concerned,” Black provides a performance only slightly more irritating than Slappy the vaudeville dummy, the worst doll antagonist since the last installment of Child’s Play. Teen actor Dylan Minnette is slightly more expressive and makes the film’s first thirty minutes a bit charming before he accidentally unleashes a potpourri of blandly designed CGI monsters trapped in books. 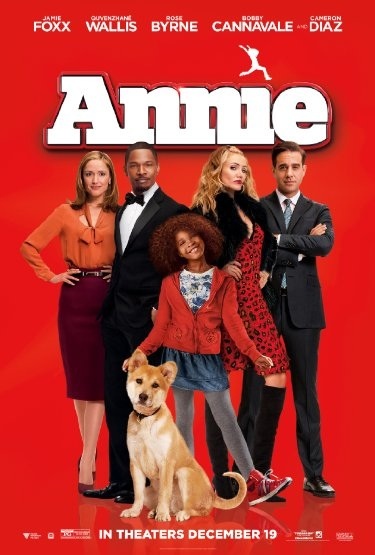 The filmmakers cynically leverage a popular kid lit franchise to lure a big crowd to the box office, but it’s all an auto pilot triumph over creative inspiration. There’s lots of inspired stuff in a movie about a 1982 time capsule that prompts modern-day extraterrestrials to co-opt nostalgic video game iconography to attack the planet, but director Chris Columbus and an Adam Sandler-led comedic ensemble drain Pixels (D-) of any sense of wit or charm. The filmmakers barely summon hand-eye coordination in mishandling a story about how a rag-tag group of misfits conjure their inner joysticks and roller controllers to topple Galaga, Centipede, Pac-Man and a gaggle of galactic meanies. When a film employs intentionally dated graphics and an absurd premise, it requires credible acting and a logical thematic through-line; that’s why Ghostbusters worked so brilliantly. 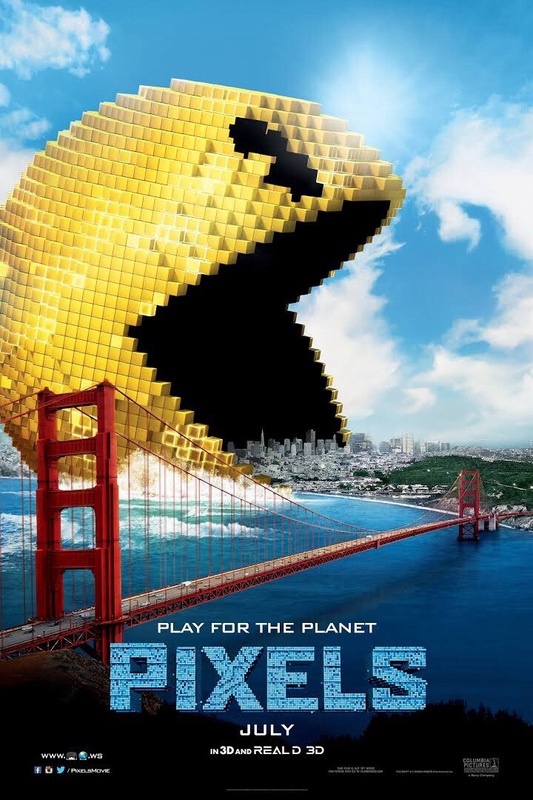 Alas the game is over long before it starts for Pixels, with everything from Tom Arnold playing the U.S. President as Sandler’s best friend and Michelle Monaghan as Sadler’s love interest being but two of the plot points catalogued in the not-credible category. As Sandler and Josh Gad exert their action antics and moribund comedy to a not-at-all thrilling conclusion, one simply wonders what would have happened had the studio chosen a different adventure with better talent to tell this tale. For a better foray into the 8-bit heyday, I recommend the documentary King of Kong. Paul King’s British live action/animated comedy Paddington (A) is quite simply one of the most consistently satisfying family films ever made, following each instinct of visual whim and whimsy with clever and entertaining results. 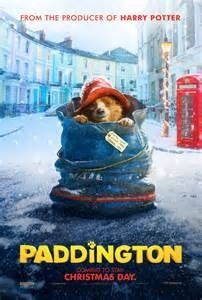 The film chronicles a polite young marmalade-obsessed bear’s journey from the jungles of Peru to the heart of modern-day London as he is taken in by a kindly family (charmingly headlined by Sally Hawkins and Hugh Bonneville) and embarks on a series of madcap adventures. The art direction and production design are exquisite and would leave Wes Anderson slackjawed with its artisan detail. The family home rendered as a dollhouse, the city archives like a scene out of Brazil, the menacing Natural History Museum populated by juicy taxidermist villain (a delightful Nicole Kidman) and the colorful streets filled with antiquities and street music troubadours dot the movie with resplendent visuals which are a wonder to behold. There is also genuine menace in some of the action sequences and an affecting level of sentimentality that never crosses into preciousness. The crafty screenplay is full of double entendres and fun asides that deliver a droll and altogether unexpected joy that adults can appreciate as much as kids. It’s brisk, funny and memorable and joins films such as Babe, The Muppet Movie and Willy Wonka as family classics. Caroline Thompson’s family drama Buddy (C-) chronicles the tale of an ecentric woman (Rene Russo) and her live-in animal companions. There may be a gorilla in her midst, but the story has a few missing links, to say the least. The telling of this true tale seems more like a chore than an opportunity for entertainment. Elaborate animatronics from Jim Henson’s Creature Shop can’t seem to animate the belle of the ball of the wild at the film’s hollow center.